Upgrade Your Wheels and Tires at Precision Audio! If you are looking for wheels and tires in the Bainbridge and Thomasville, Georgia area, look no further than the experts at Precision Audio. Precision Audio stocks over 50 styles of custom wheels from 17” to 26” in diameter and we can custom order any wheel style in sizes from 15” to 30” diameter with nearly any offset you can imagine. We also have a wide range of major brand tires from high performance speed-rated tires to off road monster tires by top brands like Nitto, Nexen, Falken, Cooper and Goodyear. Our expert wheel technicians ensure the right application of tire and wheel combination for your vehicle, as well as preserving your vehicle’s Tire Pressure Monitoring System (TPMS) sensors to ensure a comfortable ride and maintaining all federally mandated factory-installed safety systems. At Precision Audio we stock all the popular brands and styles of alloy and chrome wheels to fit both trucks and cars. Big or REALLY big diameters and in various widths, over 50 styles are in stock on a daily basis and we can customize your wheel and tire combination to suit your exact style and needs. 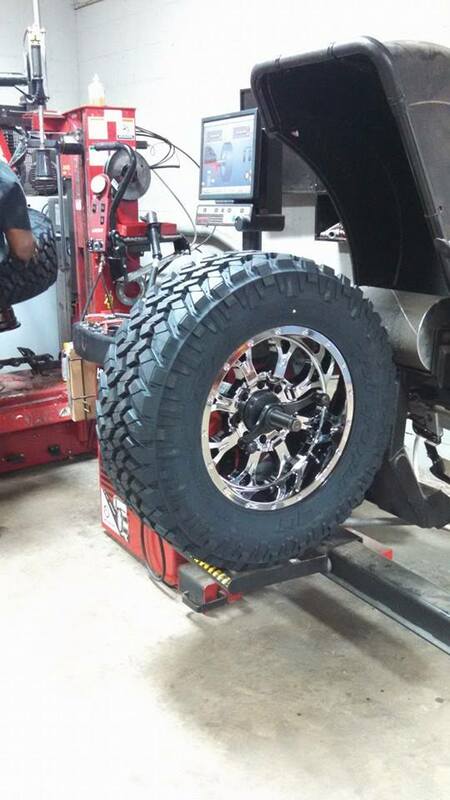 We are one of the few shops in Southwest Georgia that can install wheels and tires up to 30 inches in diameter. Using the collective expertise of our expert in-house technicians, we ensure the right fit, backspacing and wheel diameter to perfectly fit your vehicle which includes allowing turning radius and suspension travel. Our attention to detail in fit and style is our distinct advantage. If you desire the custom look that the right wheel and tire package brings, we’re your solution. Along with our incredible wheel selection, we also carry tires for all kinds of performance, off road, weather and towing rated uses by top brands like Nitto, Nexen, Falken, Cooper and Goodyear. Among the most popular wheel finishes to highlight and personalize your vehicle are a set of new chrome wheels from Precision. We pride ourselves in dealing with some of the best wheel manufacturers who offer high quality triple chrome plating that adds an upscale character to your car or truck. With high quality, professional grade chrome finishes, your wheels are easy to care for with only soap and water required to clean them. It’s a great way to have high end wheels without worry of the finish being hard to maintain. Precision is your headquarters for chrome wheels. Our in-house wheel installation technicians assemble your wheel and tire package using the scratch-free and computerized mounting and balancing machines. With our high-tech equipment, we ensure no scratches on the wheel edge when mounting the tire using our ‘no contact’ on the wheel surface mounting. Once mounted, the tires are computer balanced with a road force load to ensure a smooth and comfortable ride that emulates what you’ll experience out on the road. It’s our attention to detail and we’re the best in the area at wheels and tires. In addition to the detailed mounting and balancing we offer we also ensure each wheel’s lug nuts are torqued with factory specifications so that the attention on your safety is equally as important as your style. Since all new vehicles use a Tire Pressure Monitoring System (TPMS) that reports tire pressure to a dashboard or instrument cluster display, we ensure this detail is not overlooked. TPMS sensors are embedded in the wheel from the factory. We ensure that these are installed back into your new wheels as we mount and balance the tires. This way, you don’t have to recalibrate the sensors or worry about error messages in the instrument cluster. Your vehicle returns to you with all the same safety it originally had, only with much better looking wheels and tires. If your factory-installed TPMS sensors have stopped working, we can repair or replace them to get all this important safety system operating properly again. Visit Precision Audio or contact us today and one of our wheel and tire specialists will help you choose the best package to fit your vehicle. Call (229) 246-2111 to schedule a no-cost consultation here at our facility in Bainbridge Georgia or our new location in Thomasville at (229) 233-5001 and we’ll help you personalize it to give your vehicle the look you’re after.